Are you wondering how to make money with a blog if you’re a beginner? When you start an online business with a blog, you need to have a higher purpose, an abiding desire to share your message with those who need it most. But you probably also want to make money from it. Right now the question you may be asking yourself is, how? Good question, especially if you’re new to the world of online marketing. It’s important to start your blogging adventure with a strong marketing foundation. But it is equally important to be yourself. Your message from the heart can make up for other missteps or mistakes you may make along the way. So be brave! You also need to understand that promotion of your blog will be a major part of your efforts, and that means you need to understand marketing, and how to connect the dots between your blog, building a subscriber base, promoting products as an affiliate, and ultimately, promoting your own products. I never would have become successful so quickly in copywriting and marketing, if I hadn’t invested in myself through training programs and marketing events. There’s no way around it. You simply cannot create a new online business in a vacuum. You need to learn from and emulate those who are already doing it, have achieved success, and can show YOU how to do it too. Even though I’ve been very successful online, commanding high fees for my copywriting, marketing strategy, and consulting…I’m on this blogging journey with you! That’s why just like I’ve been doing my entire career online, I seek out the best trainings, programs, and courses so I can continually build my knowledge base and dovetail new skills with the ones I already have considerable experience in. The good news is…you can get focused and valuable training to get you started, at an extremely reasonable investment, especially when you consider what you stand to gain. This is GREAT news, because if you follow these programs step-by-step, the potential for you to begin making some money with your blog is real. Even though I’ve been working online for years and actually had a blog that brought in more than six-figures, I didn’t have the complete picture. 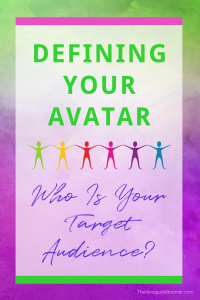 I basically just did a few blog posts here-and-there but didn’t have the overarching strategy that can multiply your blogging efforts. Frankly, my client work was always so busy, my first blog was catch as catch can—whenever I found a few minutes to spare. But guess what? That’s not how your blog becomes a consistent, reliable money maker for you! I knew I wanted to do something more, and I also knew I needed to up the ante by getting more blogging education. And so, that’s what I did too! Remember, emulating success is the smart way to transform a steep learning curve into something much more manageable and rewarding. Fair warning though, Elite Blog Academy is NOT a lightweight, fluffy little quick fix of tips and strategies by any means. It’s called “academy” for a reason! Because it’s self-paced, if you want to do it right, you need to allow yourself plenty of time. Even if something seems basic, or on the other hand, too much trouble…you need to commit to implementing each step. If you’re like me, and kinda like to skip to the best parts sometimes, restrain yourself! Picking, choosing, and thinking you already know what you need, is likely to end in frustration, or you just not getting where you wanted to go with your blog. 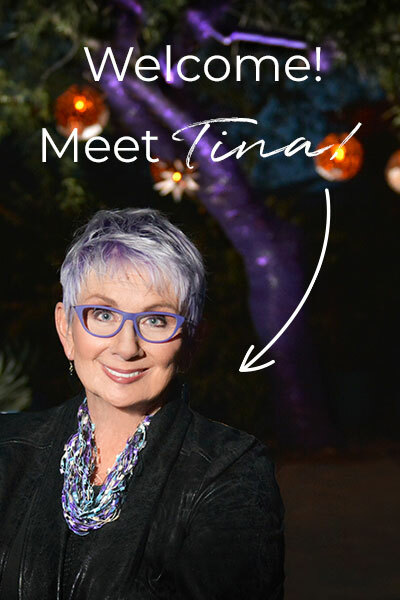 Tina’s Tip: Staying the course and maintaining your commitment to work the program step-by-step can be hard sometimes. But it’s the best way! The most important part is that you actually implement and understand what you’re doing. Here’s the truth. Blogging isn’t for the faint of heart. It’s not a get rich quick event either. You absolutely can make very good money with it—but you have to put in the work. Ask me about the days when I feel like I’ve become one with my desk chair! But it’s so worth it, and it’s also fun! Strategic blogging can definitely can change your life if you don’t give up at the first bump in the road. Ruth is pretty darned serious about her commitment to making sure you absorb and implement the blogging strategies in Elite Blog Academy, because this is about you being successful, not just letting your program gather “virtual dust” while it goes unused. 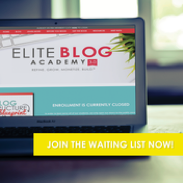 That’s why enrollment for Elite Blog Academy only opens ONCE a year, and even then, it’s only open for 5 days! So, if you’re even a little bit interested in what this is all about, I highly recommend you sign up right here to get on the Wait List. Ruth also creates an array of excellent free trainings throughout the year, so by getting on the wait list, you’ll be sure to be in the loop. Very simply, affiliate marketing is when you sell something through a special link you receive for the product you want to promote, and receive a small commission when someone buys through your link. In fact, along with providing helpful content, that is exactly what I’m doing in this blog post right now! 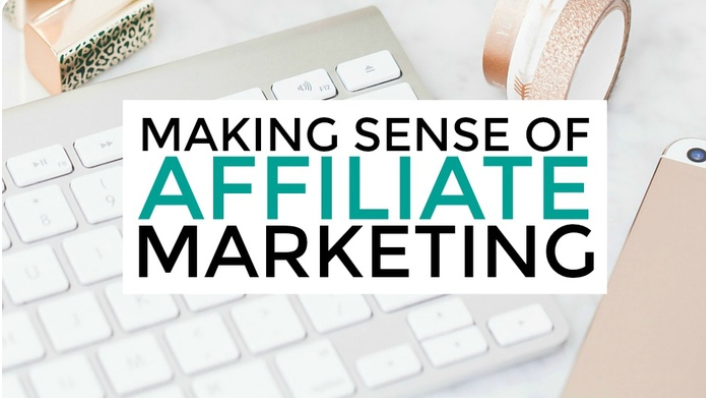 Michelle’s course is easy to follow, and gives real, actionable guidance and instruction on the very best ways to start implementing affiliate marketing on your blog. 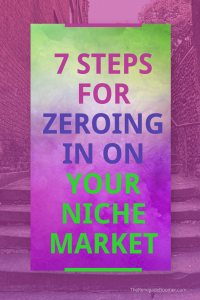 Michelle currently generates approximately $100,000 per MONTH from her blog. Do you really need any more reason than THAT to learn from her? Didn’t think so. I highly recommend you just DO it. 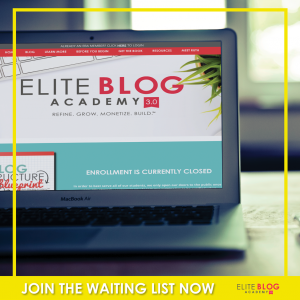 The third course I invested in can be an excellent option, especially if you’re not willing to wait an entire year for Elite Blog Academy to get started with your blog. Suzi Whitford is becoming very well known for her Start A Mom Blog. But don’t let the title throw you off! 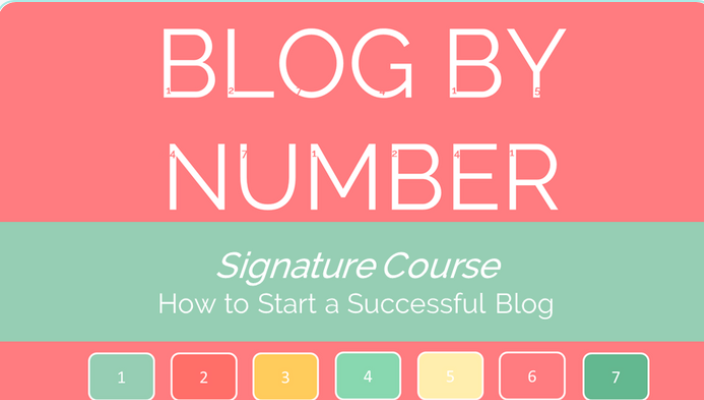 Suzi’s Blog by Number training works for any niche you may be in. This was the third program I purchased, as I dove into learning more about how to connect the dots between blogging and making money from it. It’s available all year. 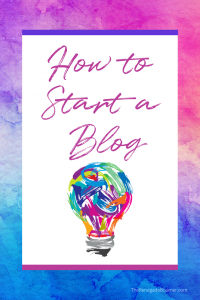 You can start anytime and start blogging right away! You can start more simply and scale up to more involved trainings. Suzi also went through Elite Blog Academy—so you’ll benefit from that as well. I love her colorful designs for her product (she does it all herself and teaches HOW she does it! ), but more than that, I love how she makes it very simple to understand. That’s exactly what I wanted for a faster training. Maybe you need it that simple too. Plus, she has now hit approximately $30K a month from her blog within two years. That definitely should get your attention, because she literally started on her kitchen table AND she had two children under the age of 2. Yikes! But somehow, she found the time and it definitely has paid off. I do think she could dig even further into the way your blog works for making money, but she still has enough to get you started, and obviously, it’s working. Remember, you can follow the footsteps of people who are actually doing the thing YOU want to do. Don’t reinvent the wheel—just model what’s working. In fact, as a test, I started coaching two complete newbies, not only to blogging but to ANY kind of marketing online, using Suzi’s program as our guide. My two eager but inexperienced students purchased her program, and away we went. Within ONE month, they both had their new blogs live, AND they both had already made some money from affiliate marketing! And neither of them had implemented any kind of list building yet. Now I’m not talking big money their first month online. But do you know how many bloggers have been slaving away for YEARS without making a dime? The sad fact is, a whopping 81% of bloggers never manage to make even $100 from their blogs. So many who are struggling, and still haven’t cracked that elusive code of how to reliably start making money with a blog. Why? Because they don’t have a clue about the business of blogging, or the marketing strategies that make all the difference for you. It’s true. Once you understand it really IS possible, you stay focused, keep doing what you did to make that first dollar, and continue building from there. If you’ll do the work, remain consistent with your efforts and keep going…you may be very surprised and even thrilled with what happens. This is the difference between what is basically a HOBBY blog, and a blog built with the intention, desire, and commitment to delivering value AND making money for you, month after month. One thing though, unfortunately Suzi is still using BlueHost, which I do NOT recommend. The reliability of BlueHost has become very problematic. I definitely recommend SiteGround as the best choice of hosting for your WordPress blog. Overall, though, I think Blog by Number works extremely well, especially when you multiply your progress by going through Suzi’s course first, and then moving on to The 30-Day Website Building Challenge described below. The 30-Day Website Building Challenge is the fourth course I invested in. Jessica Larew and her family started their online journey by selling items on Amazon, and then moved on to teaching others how to do it as well. Recently she has been focusing on teaching others how to make money from their blogs with affiliate marketing and your own products. So, it was a natural next step for her to create an extremely easy to follow training to assure you can actually build your entire WordPress blog from scratch. I love Suzi’s Blog by Number course too, and it’s a great start, packed with additional information about using tools like PicMonkey to make stunning graphics from your own photos or stock photos. It’s super great, as I mentioned already, with content that can launch complete newbies to the world of online marketing to beginning to make some serious money, even with blogs that honestly, are not fully developed yet. What’s A Beleaguered Beginning Blogger To Do Next? 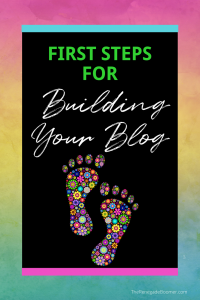 What Jessica noticed as people were building their first WordPress blogs, was that while you have the beginning structure of your website, there were many essential steps that weren’t fully covered…as in THIRTY of them! 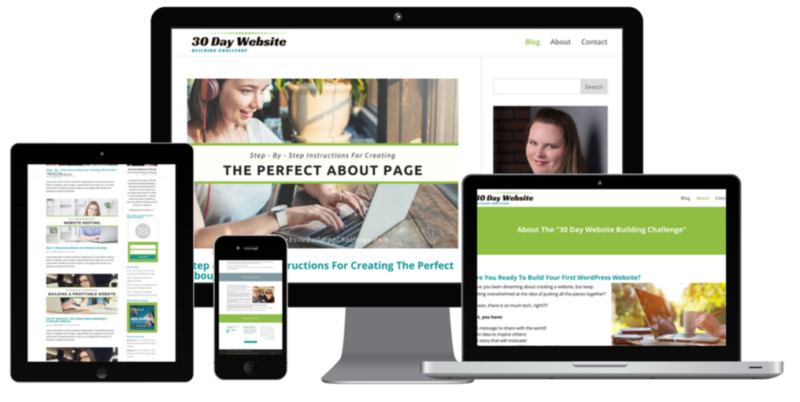 With the 30 Day Website Building Challenge, we move on to how you build a professional looking site that is truly worthy of being shared with a larger audience. Plus, even if you’ve paid to have a blog built, how in blue blazes do you actually USE it, to add your own content or make changes. Actually, that is the main reason I decided to go through the program myself. Because as I’ve said, I’m chronically allergic to tech. But I really felt increasingly uncomfortable about that, because I actually wanted more control over my own websites. And now, I’m also in the throes of building another website myself. Imagine that! Jessica’s no slouch in the income generating department either. She’s created more than 15 courses, and she knows exactly how to break down complex processes into easy to accomplish steps…as in 30 of them, but all at your own pace, one step at a time. 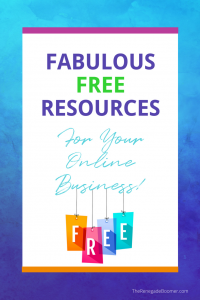 Her course is straight to the point with helpful guidance about the nitty gritty details of building your site, delivered in a very methodical step-by-step way even I can understand! You really can do just ONE step a day, until your website is ready to go. It completely solves the problem of crippling overwhelm. 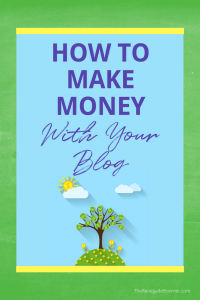 Plus, she goes deeper into not only the HOW of it, but also the WHY of each step, which is super important to you understanding how this whole wonderful world of blogging can result in a money-making dream come true for you! Look, I’ve never made a secret of the fact that I’m totally NOT a techie. I’ve avoided it to the max, and always hired my website building out. But I decided if I was going to encourage you to build your own site to get started as quickly as possible, I should walk the walk too! That’s why I accepted the challenge, and am using this training to build another WordPress blog in a completely different niche, to prove to myself that I truly can do the entire thing, AND to prove to you that even a techno-wimp can do it! There’s just something about Jessica’s friendly teaching style that turns the entire training into manageable steps, and makes it a lot less intimidating. She also uses both SiteGround AND ConvertKit, with tutorials included in the program about how to use both of these, so that makes it super easy to get started. In a hurry? Don’t worry! Even though Jessica’s program is a 30-day challenge, which you can do one day at a time, it is delivered all at once, so you can go as fast as you want. You may also notice, there isn’t necessarily ONE perfect program that takes care of everything in one gigantic bite. What I’ve found is investing in a few high quality trainings can help you find the right balance for what YOU want to do. To me, it’s like an orchestra, where many different instruments play harmoniously to create a beautiful and complete experience. Start with a program that feels right to you and build from there. No matter what, take action! Don’t let over-analysis keep you from jumping in and DOING. Don’t forget, you can always ask questions here too! I love hearing from you.